The reisenthel multibag is a practical shoulder bag for travelling. Available in various colours and patterns, the reisenthel bag with a universal look inspires and provides for good mood when shopping, at university or work. Multiple compartments: 4 exterior pocket, 6 inner compartments and a large opening offer maximum storage space for all sorts of odds and ends that can be easily structured and stored. With an adjustable shoulder strap and two built-in handles, the bag can be worn across or over the shoulder. The mutibag made of high quality polyester fabric is particularly robust and water-repellent. On request, the multibag is available in additional colours / patterns. 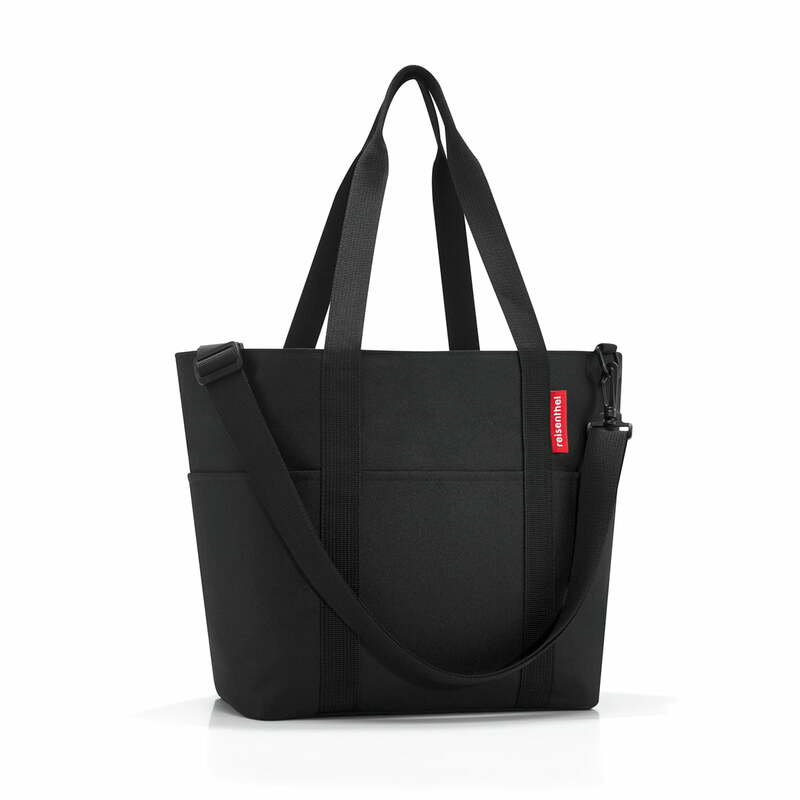 Single image of the reisenthel multibag in black. Made from durable polyester fabric the bag is subtly in design and at the same time very easy to clean.